CLOSE to 250 people a day left Ireland in the past year as emigration continued to soar. Despite improvements in the jobs market, there was no let-up in the tide of people leaving the country to find work elsewhere. The Government is being put under pressure to stem the worrying flow of workers from our shores in 2014 -- many of them youngsters who are forced to leave family and friends behind. Figures compiled by the Irish Independent provide fresh details of where migrants have been going in the last year, with English-speaking countries inevitably the most popular. Data from immigration authorities in the five major destinations for Irish emigrants reveal a particular surge in the numbers heading for Canada. Official US immigration figures, meanwhile, suggest a brain drain of talent as they include 1,171 Irish people with "extraordinary abilities or achievements", as well as 1,259 athletes, artists and entertainers. Separately, Central Statistics Office data show some 89,000 left in the 12 months to April 2013, almost 2,000 more than a year earlier. The National Youth Council of Ireland (NYCI) said that it hoped 2014 would see a corner being turned with the numbers emigrating beginning to drop again. While it welcomed the recent increase in jobs, the numbers of young people emigrating remained alarmingly high. "The last employment figures showed the numbers of people aged 25-34 in employment are down by 9pc -- but in our view this is mainly due to emigration," said NYCI research officer Marie-Claire McAleer. "If job growth continues, we hope and expect the numbers of young people emigrating in 2014 will reduce," she said. The latest figures reveal there was a 27pc increase in the number of Irish people moving to Canada, with 6,693 temporary work permits and another 895 permanent visas issued during 2012 -- an emigration rate that is six times higher than it was during the boom. There was also a 35pc surge in the number of temporary skilled work visas for Australia issued during the 2012/13 period. Some 5,209 people took these up, with Ireland now Australia's third biggest source country for such skilled migrants -- behind the UK and India. However, there was a dip in the number of young Irish heading down under on working holiday visas, with these falling by 18pc to 15,850. And the numbers of Irish people heading to Britain fell, with 15,400 new national insurance numbers issued to immigrants from Ireland in the 2012/13 period -- down 2pc on the previous year. The US continued to entice emigrants, with more than 20,300 work permits issued to Irish people last year, including almost 1,700 permanent ones. 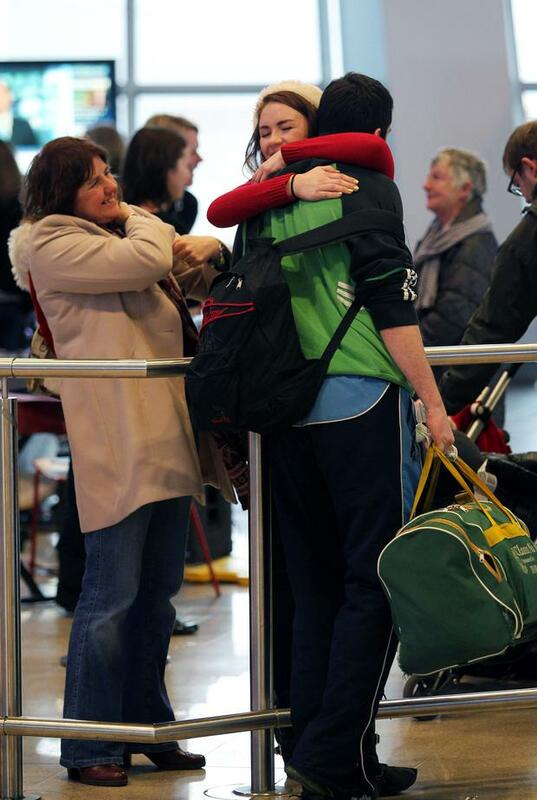 One in six households has seen a family member emigrate since 2006, according to a major report this year. The University College Cork and the Irish Research Council also revealed that unemployment is not the only reason to leave the country, as in fact almost half of emigrants were in full-time jobs before they moved abroad. But there was clear evidence of a brain drain as many of these were health professionals or IT specialists seeking better jobs or conditions elsewhere, while some simply wanted to experience another culture. And there is hope for youngsters leaving college as increasing numbers (52pc) are getting work in Ireland within a few months of graduating -- although there is still a rise in those emigrating to find a job (10pc). Wayne O'Connor The EU's chief Brexit negotiator, Michel Barnier, has said the killing of journalist Lyra McKee demonstrates work is needed to preserve Northern Ireland's "fragile" peace.